» Vasque Juxt MultiSport Review – Are These Shoes Worth the Leather? Vasque Juxt MultiSport Review – Are These Shoes Worth the Leather? Have you ever dreamed about being a Navy SEAL? The Navy SEALs are an elite Special Forces all-male unit trained to conduct military operations on sea, air, and land. They’re pretty badass in our book. Now is your chance to live out your dream! The Vasque Juxt Multisport shoe was worn by DEVGRU (SEAL Team 6) during their campaign to eliminate Bin Laden. Okay, so maybe you won’t be a Navy SEAL by wearing the shoe, but if the Vasque Juxt Multisport shoe is good enough for the United States Navy SEALs then they will be good enough for you! The Vasque Juxt Multisport shoe is one of the most versatile shoes you’ll own. The shoe will bring you from the hiking trails to the desert to the office and back. They are built for comfort and work. The Vasque Juxt Multisport shoe is lightweight, supportive, and stylish for everyday use. If you’re looking for a hiking shoe instead of a boot, the Vasque Juxt Multisport shoe should be your first choice. The Hiker Feedback – What’s the Buzz? Final Take – Are They Worth it? The Vasque Juxt Multisport shoe fits like a shoe but has all the best features of a hiking boot. While the upper part of the shoe is nothing really to write home about, the footbed and the soles of the shoe are what sets the Juxt apart from its competition. The outsole, or the bottom of the shoe, is made with Vasque’s special Off-the-Grid (OTG) technology that is durable for the worst conditions and will last for many seasons. Just think about the SEAL Team 6 who trekked through the mountains of Afghanistan and Pakistan wearing the Juxt. As added protection from the elements and additional foot support, Vasque added a TPU plate in the midfoot without adding any extra weight to the shoe. The shoe is design a little longer than most shoes, but contains a medium-volume Arc Tempo to help accommodate higher arches. Weight: 1 lbs. 13 oz. While the Vasque Juxt Multisport shoe has some awesome features, the fit of the shoe isn’t for everyone. The shoe is slightly longer and narrow than most sport shoes and tends to run a little large. It is suggested to size down from your normal hiking boot size. The Juxt is made to have some extra room in the toe box so you don’t crunch your toes on any downhills. So as long as the shoe fits, you’ll probably fall in love with them fast. Most hikers rate the Vasque Juxt Multisport shoe highly. The shoe is perfect for the “in between” stuff during your adventures in the great outdoors. While you probably won’t want to wear these on the Pacific Crest Trail with a heavy pack, these shoes are perfect for most hiking and running trails. The outsole of the shoe is really the best feature of the shoe. Not only is the sole excellent on rock scrambles and trails, but the shoe is flexible. The flexibility of the shoe allows you to stick your foot in places your hiking boot probably won’t fit or go. Additionally, due to the flexibility of the shoe, the Juxt can be used for trail running or (hopefully not) running from bears! Can your hiking boots do that? Another feature of the Juxt is its toe guard that will help protect your toes from sticks and rocks. The only downfall of the toe guard is the indents in the design that make cleaning mud off the guard a little harder. 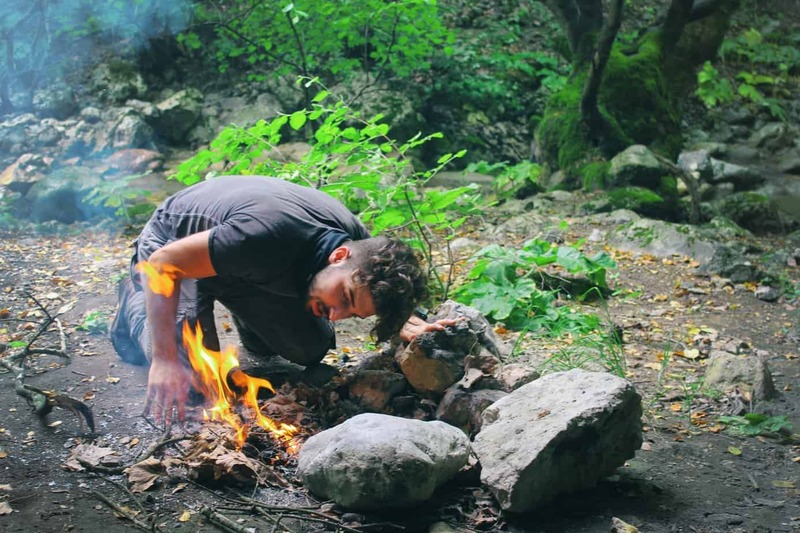 The biggest complaints the Juxt receives from hikers is the fit. The shoe is long and narrow. According to the Vasque website, you can order wide sizes; however, they are hard to find in stores and online. Most hikers will recommend sizing down a half or even full size due to their design. The Juxt is designed to have a roomy toe box so don’t confused that with the shoe being too large. Just like any shoe, we recommend trying them on first. The Juxt shoe is constructed to last several seasons, but it depends on your wear and tear of the shoe. Some people have owned the same pair for years with plenty of life left in them while some people need a new pair every 4-6 months. If you’re harsh on your shoes then they will need to be replace sooner than most. The Vasque Juxt Multisport shoe is designed to be versatile and is a great all-around shoe to have in your shoe closet. It will take you to the summit to the plane and finally to dinner with your in-laws. If you travel a lot domestically or abroad then you might want to consider the Juxt. The Juxt has received rave reviews from a number of travelers because of its versatility. The shoe is comfortable for spending your day eating and walking your way around Paris and then climbing the Alps the next day. The Juxt is also popular with military personnel and contractors overseas as the Juxt is a work shoe, but looks great in uniform and casual clothes at the dinner table. Overall the Juxt receives great feedback from hikers, trail runners, and military men and women. It’s not uncommon to see repeat buyers stocking up on the shoe in every color. Their best-selling features include their comfort, flexibility, and all-around versatility. 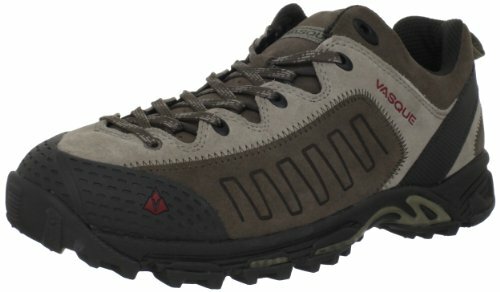 The Vasque Juxt Mulitspot shoe retails for $109.99 (For the latest prices and discounts, check here) and comes in aluminum/chili pepper and peat/sudan brown. You can often see the shoe on sale at online retailers, but we recommend trying the shoe on first for fit at a store or purchase two sizes online and return the pair that doesn’t fit. It’s actually $100 (For the latest prices and discounts, check here). We believe this shoe is a buy. It’s the perfect in-between shoe for hiking, trail running, work, and every day casual wear. You’ll see the Juxt on hikers, runners, travelers, and military men around the world. The shoe does run a little big and is not waterproof, but if you can get over those two facts then the Vasque Juxt Multisport shoe is a great shoe to have in your shoe closet.